This clinic provides rapid access to general internal Medicine consults and selected specialities from the Emergency Department and decreases admission into hospital and repeat visits to the Emergency Department. The clinic also facilitates quicker discharges from Medicine and provides resident and fellow teaching opportunities. Links with Emergency will continue to be a priority with the aim of decreasing emergency room visits and unnecessary hospital admissions for patients with internal medicine based problems. The clinic takes referrals from Physicians. Specialists include but are not limited to General Internal Medicine, Stroke, Dermatology & Palliative. For General Internal Medicine referrals, please fax the completed General Internal Medicine Referral form to 604-806-9057. 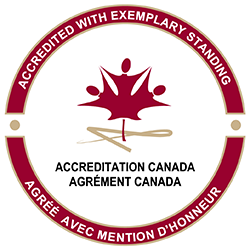 For all other referrals, please fax the Rapid Access Specialist Clinic Referral form to 604-806-9057​. The General Internal Medicine and Rapid Access Specialist Clinic is located in the BURRARD BUILDING. 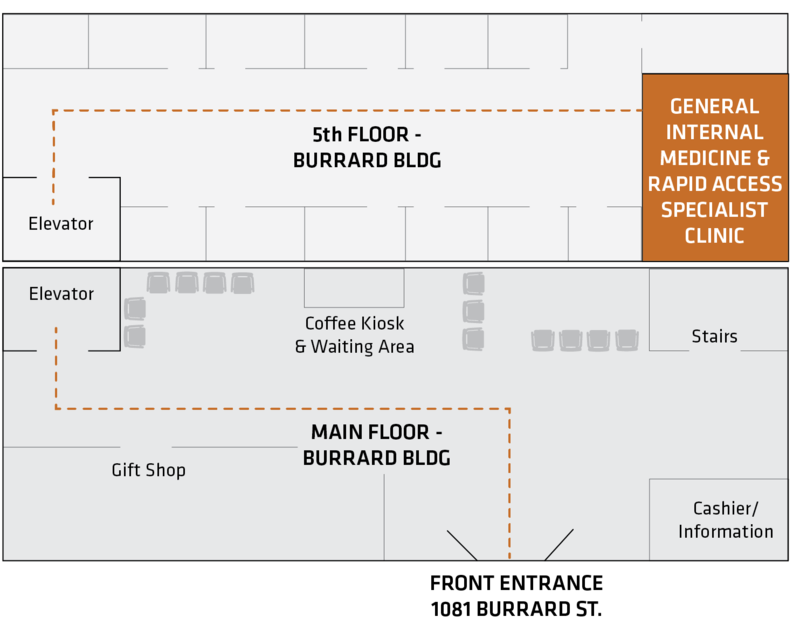 Entering from the Burrard street entrance, turn left and take elevator to the 5th Floor. Once on the 5th Floor, turn right and the General Internal Medicine & Rapid Access Specialist Clinic reception will be located in front.